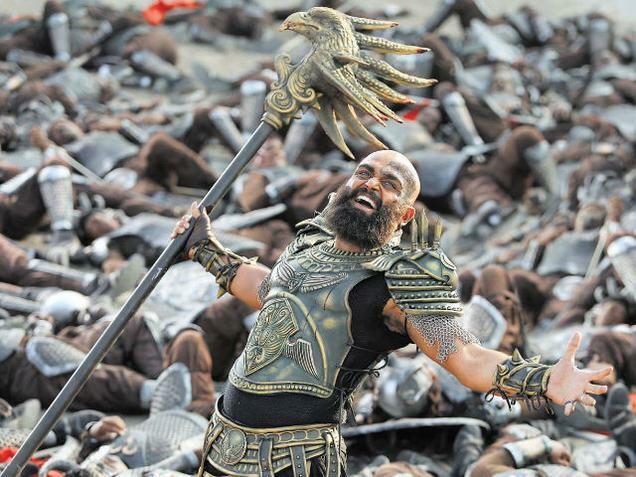 Kashmora is the new film from the young actor in Kollywood and Karthi is appearing in a different look in this film. Kashmora is directed by Gokul and made in a Big budget. There are several rumors spreading with Kashmora by comparing it with the elephantine one bahubali and now karthi itself comes by clarifying all the questions regarding with Kashmora. He has been talking with Medias in Kochi regarding with promotional programs for Kashmora. He said that kashmora is not like Bahubali and there are comparisons with Bahubali by doing a fantasy film like this and it is going to be challenging. The technicians done for Bahubali are most from India and it become favorable for Kashmora and thereby we don’t need search for technicians all over the world. He include that he had kept with a strong decision for the look For Kashmora and he has strong desire that don’t even recognize by himself while looking in a mirror. Kashmora is the character of an Black Magician and the director Gokul done a lot of research for the character and he describes the character for me by step by steps. Kashmora is giving importance to Humor and horror and moreover that the 30 Minutes of the film is considered as an Period drama and fro shooting that we spend a lot of time. Kashmora is being an entertainer packed with Horror and comedy and the budget was an important factor, it is build in a manner of fantasy film made in a larger canvas and sure that Kashmora will do better in the genre with the Box Office. He don’t forget to speak few about Kerala and the greenery, he include that if a appealing subject comes from Malayalam he is ready to do a Malayalam film but now there are no such plans. Wait for Kashmora…..